The game is scheduled to kick off at 10:00 am Jamaica time, that's 6:00 pm local time in Russia. French fans were concerned about Hugo Lloris, who set the tone for a shaky season with Tottenham last August when he allowed Marcos Alonso's 10-yard shot in the 88th minute to slip under his body, giving Chelsea a 2-1 Premier League win. However, he has rebounded for several big saves in the World Cup. 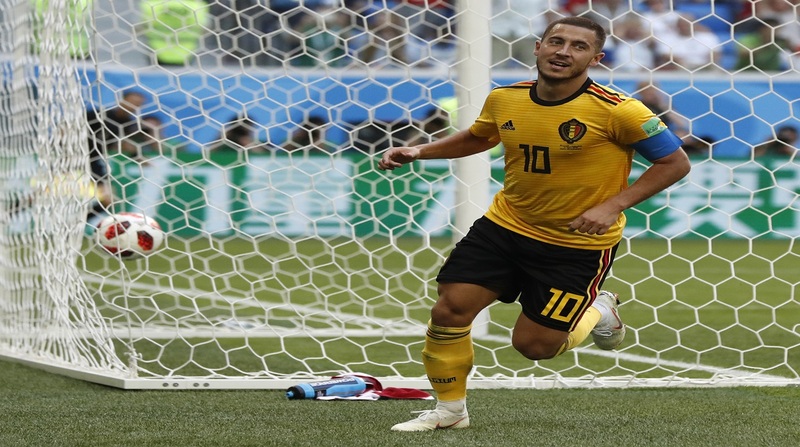 Notable stops were diving to get a hand on Martin Caceras' 44th-minute header in the quarterfinal against Uruguay and to tip Toby Alderwerield's shot around a post in the 22nd minute of the semifinal against Belgium. Croatia's Danijel Subasic, a veteran of 6 1/2 seasons with Monaco, was Ligue 1's goalkeeper of the year in 2017. He became the first keeper to win consecutive World Cup shootouts since Argentina's Sergio Goycochea in 1990. In the round of 16 against Denmark, he dived right to knock the opening kick by Christian Eriksen off a post, dived right against to knock away Lesse Schone's offering on the fourth kick, then dived left but got his legs on Nicolai Jorgensen's kick. Against host Russia in the quarterfinals, he dived right but got his trailing left hand on the opening kick by Fyodor Smolov. 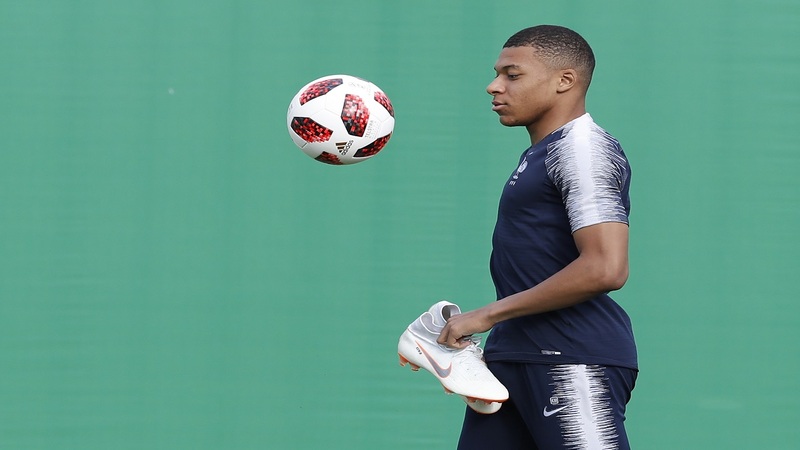 Olivier Giroud tops Les Bleus' attack, but the player to watch is 19-year Kylian Mbappe, who has displayed dynamic pace from the right flank. He scored a first-half goal in the 1-0 win over Peru in the group stage and the final two goals in the 4-2 victory over Argentina in the round of 16. Antoine Griezmann centers the line behind Giroux, with Blaise Matuidi on the left. Croatia starts Dejan Lovren and Domagoj Vida in central defense, with Sime Vrsaljko on the right and Ivan Strinic on the left. England's Raheem Sterling was able to create space in the semifinal, and Mbappe should prove even more difficult to contain. Vrsaljko's runs and crosses are a big part of the attack. He showed his alertness in the semifinal when he cleared John Stones' header off the line in the 109th minute. Croatia's Luka Modric kicks a ball during a training session at the 2018 football World Cup in Moscow, Russia, Saturday, July 14, 2018. Luka Modric, dominating matches at age 32, has had the best midfield distribution in the tournament, perhaps the best at the World Cup since Spain's Xavi Hernandez in 2010 and Italy's Andrea Pirlo in 2006. Ivan Perisic on the left flank was the difference in the semifinal, tying the score when he outhustled defenders to score the equalizer and feed Mario Mandzukic for the go-ahead goal. Ivan Rakitic has made probing runs from a deeper midfield position, where he is paired with Marcelo Brosovic, but they will have to defend against Matuidi. Ante Rebic, who starts on the right flank, took advantage of a mis-kicked clearance by goalkeeper Wilfredo Caballero for the first goal in the group stage win over Argentina. Ngolo Kante and Paul Pogba play in deeper midfield roles for France and will have to prevent Modric and Rakitic from exposing Les Bleus' back line to breakaways. Griezmann has three goals (including a pair of penalty kicks) and two assists, one on a free kick headed in by Rafael Varane against Uruguay, yet hasn't had a breakout game. 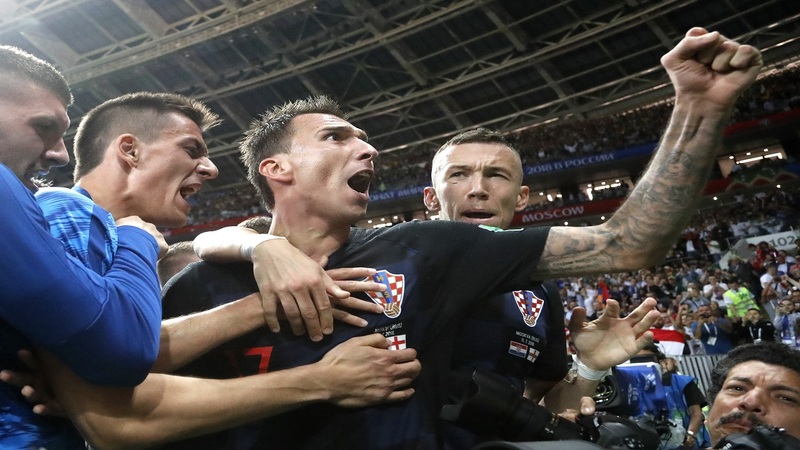 Mandzukic is a poacher, latching onto a loose ball in the penalty area to score against Denmark, then splitting the English defense after a failed clearance to score the go-ahead goal during extra time in the semifinal. Varane and Samuel Umtiti are in the middle of the French backline with Benjamin Pavard on the right and Lucas Hernandez on the left. Offense from defenders has been important for Les Bleus. Pavard's equalizer against Argentina, a 20-yard shot on a half-volley, may be the goal of the tournament. 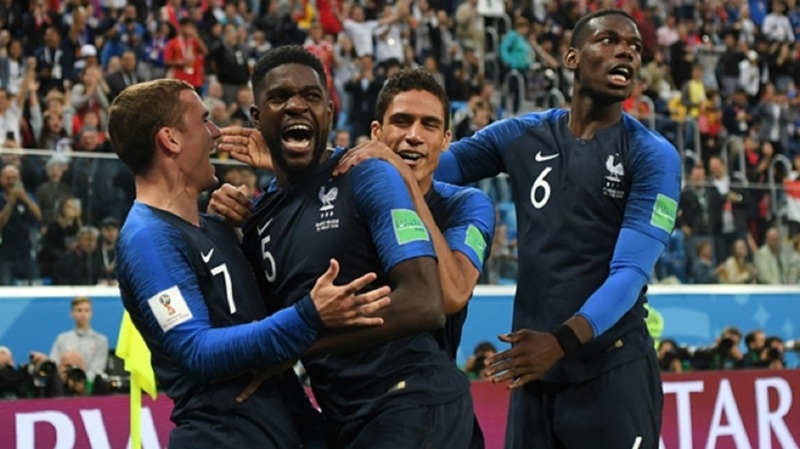 Umtiti scored the goal in the 1-0 semifinal win over Belgium when he outjumped Marouane Fellaini to head in a corner kick. France enters the final with four days' rest and Croatia with three. Croatia played 120 minutes in all three of its previous knockout games. France has one of the youngest teams, with an average of just of 26. Croatia's midfield spine is at its peak or just past. Mbappe will prove too much for Croatia.